It’s not very often that Funko blindsides me with a really cool – and yet surprising – release. But that’s happened not once, but twice this week! First with the announcement of a new Booster Gold Pop! figures, and now that they are set to expand their popular line of Marvel Pop! with a wave based on the hit video game, Guardians of the Galaxy: The Telltale Series! Each figure features their look in the episodic graphic adventure video game from Telltale Games. 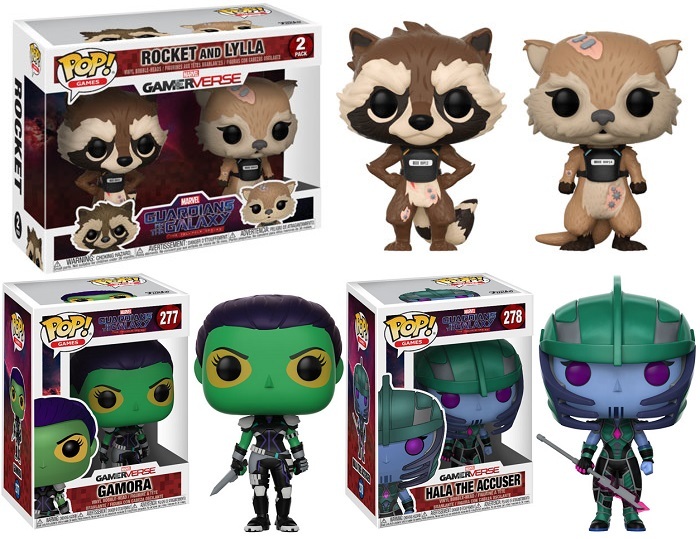 The Guardians of the Galaxy: The Telltale Series Pop! 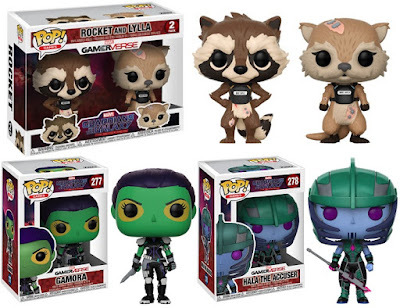 Wave includes a Rocket Raccoon and otter Lylla 2 Pack, Gamora and the evil Hala the Accuser. Each GotG: The Telltale Series Pop! stands 3.75” tall and comes packaged in a full color window box perfect for display. Fans can preorder these Marvel Pop! now at the Entertainment Earth for $10.99 ($19.99 for the 2 Pack) here.